The confluence of Wood Street, Boulevard of the Allies and First Avenue are once again busting with student energy, creativity and engagement. 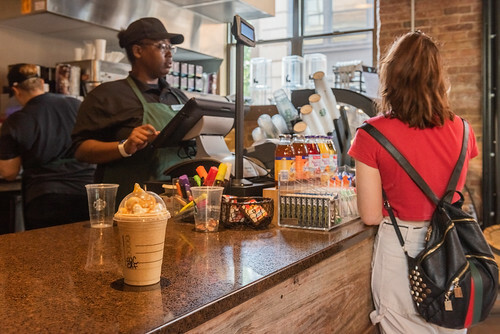 Point Park University announced the opening of Point Perk, a campus coffeehouse and gathering spot in Village Park, part of its Academic Village. Located at 100 Wood Street, Point Perk offers Starbucks coffee, breakfast options, pizza, sandwiches and other light fare. Open from 7 a.m. to 8 p.m., it is expected Point Perk will become a campus gathering spot as well as a destination for the general public. Plans are in the works to partner with the Rowland School of Business and its sports, arts and entertainment management program to identify, program and book entertainment in the space. 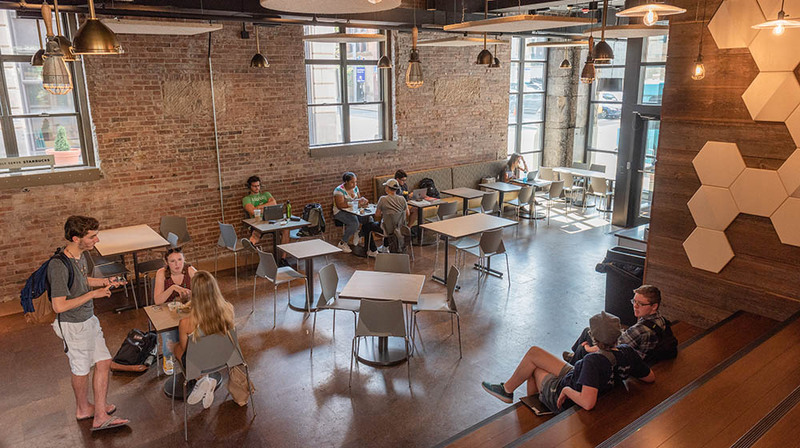 Point Park University hosted a naming contest for the new campus coffeehouse and Point Perk, the name submitted by student Tiffany Walker, was chosen from over 200 submissions. Walker received a premium Point Park Pioneer gift pack and $100 of flex dollars to spend at Point Perk or other food service locations across campus. In addition to the lights being turned back on at 100 Wood Street, another formerly quiet campus corner will take on a new focus as Point Park University’s student newspaper The Globe and the award-winning student radio station WPPJ move into space formerly occupied by the campus Starbucks at the corner of Wood Street and Fort Pitt Boulevard. Both The Globe and WPPJ will have production and expanded staff space. “With the opening of Point Perk and all the activity connected to The Globe and WPPJ, we envision our Village Park corner of Downtown Pittsburgh experiencing a great little renaissance just in time to welcome back students,” said Paylo.